Wastewater treatment plants are under ever-increasing pressure from government and environmental groups worldwide to further improve the quality of their effluent discharge and to minimize the impact upon the surrounding environment. Many plants are adding additional steps to their treatment process to ensure their final discharge is within legal limits. 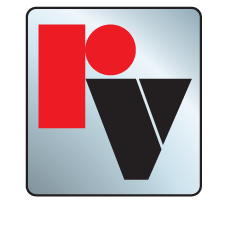 Red Valve offers a solution for many plants that is simple, economical and effective. In fact, in many areas it is the only means of treatment used. By adding an effluent diffuser system outfitted with Red Valve's patented Tideflex Diffuser Valves, the effluent is discharged over a wider area and diluted more effectively. This effectively reduces the concentration of the effluent and allows it to be broken down naturally. Tideflex Diffuser Systems have been installed in all types of waterways - from small streams to the deepest oceans. The unique properties of the Tideflex Diffuser Valve increases the velocity of the discharge and creates a flattened plume-shape discharge that is carried by currents more effectively. Acting as a check valve, the Tideflex Diffuser Valve also prevents backflow of seawater and the intrusion of marine growth, sand and silt into the pipeline.